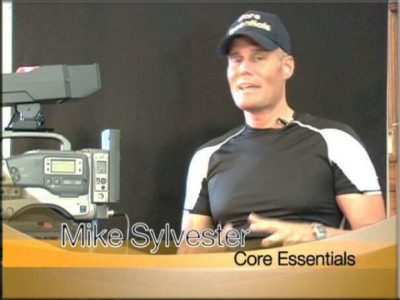 Michael has a local TV show called "Core Essentials". We plan on posting them periodically. and an expert on anabolic steroids. Michael interviewed him on his local TV show and asked him such questions as : Is short term use of steroids dangerous? Can an athlete mask their use? And much more. Find out the truth about statin drugs (like Lipitor and Crestor). Watch Michael unravel the truth regarding this highly prescribed drug. Many physicians that prescribe Lipitor neglect (unintentionally) to suggest a very important supplement--CoQ10. Failure to take this supplement in conjunction with a statin drug (like Lipitor) may result in a variety of health problems. Note: Please consult with your physician before making any changes in your medication(s). world renowned author, Dr. Barry Sears. The first interview (which is on the left) is in a podcast format. I asked him questions regarding his first book, "Enter the Zone." The second interview is a video. He just published his book, "Toxic Fat--When Good Fat Turns Bad." Dr. Sears maintains the belief that obesity is a cancer and why eating less and exercising more may not work!! (in real time) the conditioning exercises for improving performance on the slopes. The American Real Estate Ponzi Scheme." The Prone Skier Exercise challenges the core in rotation. This engages deep rotational core muscles as well as the oblique abdominals in a transverse or rotational plane. the exercises is key and can really mix it up if your used to performing pyramid type sets. The video does NOT show the bench press exercise. In the early 2000's I worked at the MetroWest Wellness Center in Framingham, Massachusetts as an Exercise Physiologist. The center had community lectures every spring. I did many lectures on weight management. The link below is one of the lectures on ​​​​WEIGHT LOSS. Although it was conducted a while ago, most of the information is still pertinent today. I thought I would share it with our visitors as I think it would be helpful to those who struggle with their weight. The psychological aspects in regards to weight loss. What diet is most appropriate for controlling hunger and long term weight control. The role exercise plays in a weight loss program. This lecture was conducted at Fallon Clinic in Worcester. My audience was physical therapists. This was during my internship in 1999. The topic was on PNF, which stands for Proprioceptive Neuromuscular Facilitation. My Colleague (who is lecturing with me) is Dave Brigham. This lecture is geared more for physical therapists, personal trainers, or any other health care worker and may be too technical for the layman. I apologize for the poor audio quality.